President Trump has kept his promise to nominate only pro-life judges to the Supreme Court. Neil Gorsuch is the perfect nominee to carry on the legacy of the late Antonin Scalia on the Supreme Court. He sided both with the plaintiffs Hobby Lobby and the Little Sisters of the Poor in their First Amendment lawsuit against the arbitrary conscience infringements wrought by Obamacare. Gorsuch forcefully dissented from a case in which the Tenth Circuit sided with Planned Parenthood and refused to allow the Governor of Utah to defund the abortion business in wake of videos showing its involvement in the selling of fetal organs. There will be consequences for Senators who try to block this confirmation. The open seat on the Court was a major issue for voters on Election Day. We think this should be a bipartisan vote should pro-abortion Democratic Senators choose to filibuster this immensely qualified nominee, they do so at their own political peril. 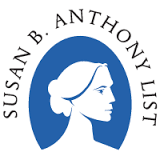 The Susan B. Anthony List FamilyThe Susan B. Anthony List team fights for the election of women and men who will fight for life. We fight for laws that safeguard the innocent, and we develop research to demonstrate the good that flows from society from their protection. Judge Neil Gorsuch has a proven track record of respecting both the Constitution and the right to life. Add your name to call on the U.S. Senate to confirm Judge Gorsuch to the Supreme Court. 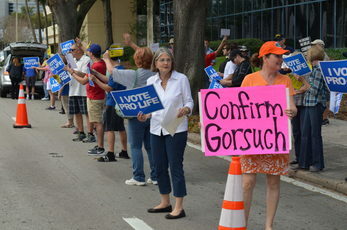 Pro Life Activists were lined up outside of Senator Bill Nelson’s Downtown Orlando office on Friday afternoon, calling on the longtime Senator to support Donald Trump’s Supreme Court nominee Neil Gorsuch. Members of the Pro-life Court Coalition held #ConfirmGorsuch signs and waved to drivers on Robinson Street the protest is part of a national initiative encouraging Senators who may be “on the fence” or in opposition of Gorsuch’s nomination to support his nomination. Gorsuch would replace the late Justice Antonin Scalia on the highest court in the land. Some Democrats in the Senate are reluctant to voice their opinions of Gorsuch after former President Barack Obama’s nominee Merrick Garland didn’t receive a hearing after he was announced. Gorsuch’s views are comparable to Scalia’s conservative philosophies. Despite that, he’s been confirmed to lower courts with little resistance from progressives and moderates. The group outside of his office on Friday believe fully that Gorsuch is the right choice. 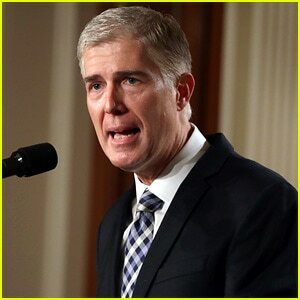 The coalition is encouraging supporters of Gorsuch to contact Nelson’s office and voice their approval of his nomination. 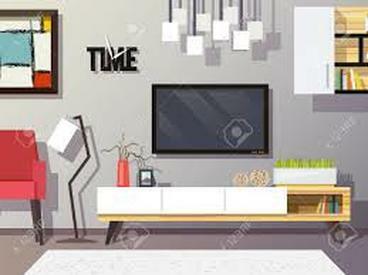 Stay informed on the many issues facing America. 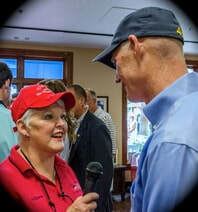 New Skype Interviews will allow us the freedom to speak and get updates from many of The Villages Tea Party's previous guest speakers while opening our hearts and minds to the new doors and opportunities coming our way. The 2018 Elections Are Coming!! Keeping up with our NEW President Donald J Trump.